Evie Kane is a compassionate and gifted spiritual intuitive, whose vast life experiences enable her to connect with each person on a multi-dimensional level. Her light-hearted nature, wisdom, and deep respect for each individual make her a masterful coach, therapist and teacher. 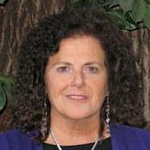 Evie is a licensed psychotherapist, licensed ordained minister and shamanic practitioner. She has worked in both the public and private sectors in the field of mental health and addiction recovery. Prior to this, Evie held executive level marketing and training positions in corporate America, and has worked as a leadership and visionary training consultant for Fortune 500 companies and executive entrepreneurs. Evie has studied with master healers, shamans, and spiritual leaders over the last 20 years. She holds certifications as an Angel Therapy Practitioner and Medium, Soul Memory Discovery Facilitator, Past Life Regression Therapist, Hypnotherapist, and the Energy Modalities: EMDR, EFT and Matrix Energetics. In essence, Evie is a practical mystic, who bridges her spiritual gifts with her working knowledge of the "real world". She helps people address life issues with integrity, clarity, and joy - ultimately rejuvenating the spirit.